The words hit me like of blow to the solar plexus. Immediately, the thoughts ‘The LORD will NOT perfect that which does NOT concern me‘ entered my spirit. In other words, Jesus told Peter that His will for John should not concern Peter. The lesson for us here is this: The only thing that we should concern ourselves with is His will for our lives. We should not concern ourselves with God’s will for another person, talk-less of becoming consumed by it out of envy. Knowing God’s will for our lives is key if our walk is to be perfected. This is the question I get asked most often. Friend, another words for God’s will is what He wants us to do on a daily basis. God reveals His will for our lives on a daily basis as we follow Him (walk by faith). Going back to John 21:22, God’s will for Peter at that point in time was to take a walk with Him. Nothing more, nothing less. Only as Peter followed God did He continue to reveal more to Peter. The same thing happened with Abraham. 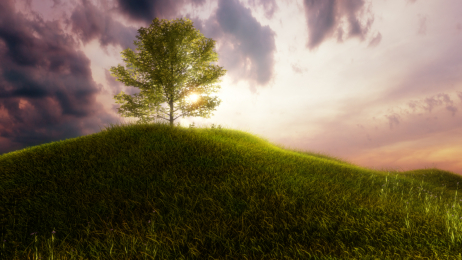 God told Him to go to some foreign land – the identity of which He did not reveal to Abraham. In other words, God’s will for Abraham was for him to pack his bags and take a journey to nowhere in particular! Only after taking the journey did God reveal more of what was to come to him. The will of God for our lives is revealed to us moment by moment. Now, what if Abraham had not obeyed the will of God because He did not see the purpose in taking the journey? Abraham would have missed out on the blessing of God. He would have missed out on his destiny. By this we see that the way to fulfill the purpose of God for our lives is to walk in His will for our lives. 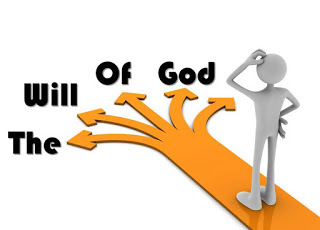 So what is God’s will for our lives? It is simply to pay attention to His words and obey it diligently. Thus the only pre-requisite to knowing and following the will of God for our lives is having an intimate fellowship with Him. For how can we hear a person we are not walking closely with? And how can we obey someone we have not heard? Living God’s will for our lives requires trust. Fulfilling God’s purpose for our lives requires consistency in following God’s will. Only as we walk in God’s purpose for our lives does He perfect that which concerns us (His will). Only then is our destiny revealed. So spend time with God so you may know His will. Once you know His will do not question it but just do it. Then let Him take care of your purpose and destiny.